What Makes Civilization The Ancient Near East and the Future of the West | Free eBooks Download - EBOOKEE! Posted on 2018-08-23, by nokia241186. Our attachment to ancient Mesopotamia (Iraq) and Egypt as the 'birthplace of civilization', where the foundations of our own societies were laid, is as strong today as it has ever been. When the Iraq Museum in Baghdad was looted in 2003, our newspapers proclaimed 'the death of history'. Yet the ancient Near East also remains a source of mystery: a space of the imagination where we explore the discontents of modern civilization. 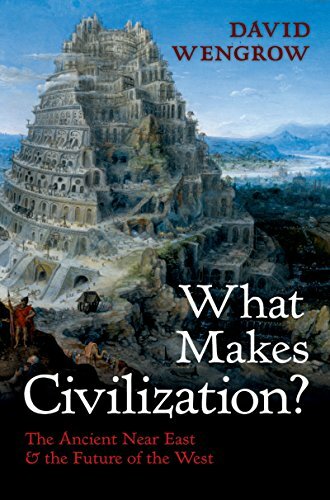 In What Makes Civilization? archaeologist David Wengrow investigates the origins of farming, writing, and cities in Egypt and Mesopotamia, and the connections between them. This is the story of how people first created kingdoms and monuments to the gods - and, just as importantly, how they adopted everyday practices that we might now take for granted, such as familiar ways of cooking food and keeping the house and body clean. Why, he asks, have these ancient cultures, where so many features of modern life originated, come to symbolize the remote and the exotic? What challenge do they pose to our assumptions about power, progress, and civilization in human history? And are the sacrifices we now make in the name of 'our' civilization really so different from those once made by the peoples of Mesopotamia and Egypt on the altars of the gods? No comments for "What Makes Civilization The Ancient Near East and the Future of the West".